It is a version of the manifesto for children, a useful tool for parents and teachers in order to explain to children, right from the start, how to correctly use digital tools, during the years where they come into contact with mobile devices for the first time. The internet is not a game. Although a different place, it is real. The internet is also made up of the good and the bad: you must be careful!! You must be kind. There are people like ourselves behind the photos. If you say unkind things, they will be sad, or regard you as bad. you must think before speaking: count up to 10! This way you can find the correct words to say what you would like to say. as you understand the thoughts of others and you make friends. they will no longer be your friend. The more nice words, the more friends! the internet is like a forest: it is better to be accompanied by an adult. You never tell strangers your name, age or address. sometimes we may not agree: it is normal. It is however not normal to say horrible words to a friend if they have a different opinion. offending someone is not fun. You make the other person sad and angry. Now that you are grown up and are able to speak, there is no need to shout. sometimes it is right to say nothing. When you do not know what to say, say nothing! A book dedicated to young children (from 3 to 6 years of age). 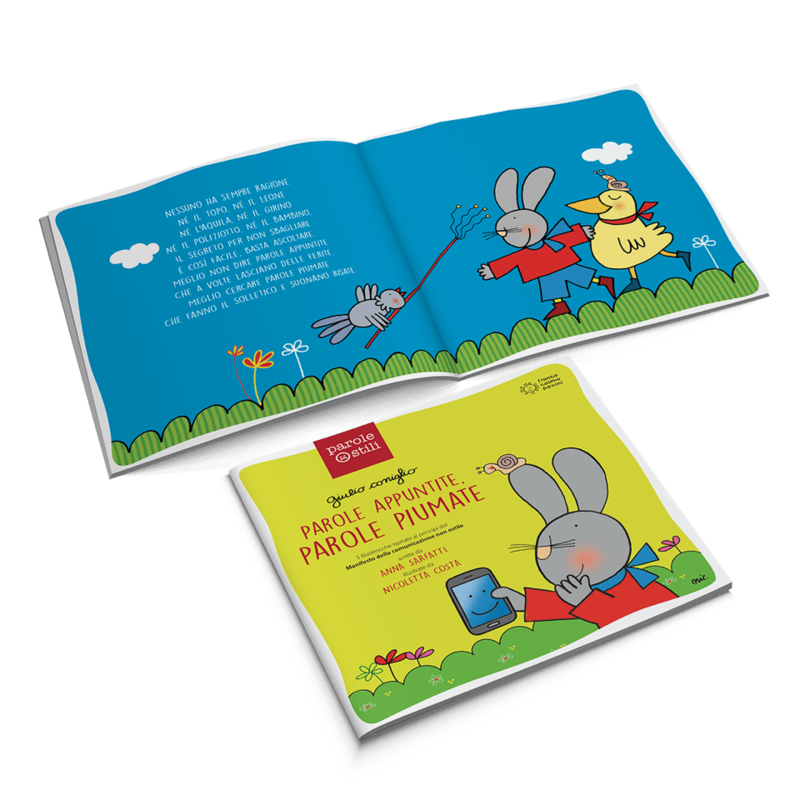 The book includes 5 nursery rhymes which draw inspiration from the ten principles in the Manifesto of non-hostile communication. 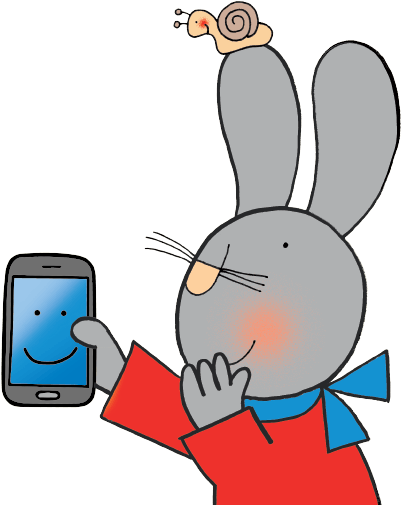 It is an essential, fun tool to guide children around the world of the Internet safely. Designed for students and useful to teachers when teaching in class using the Manifesto of non-hostile communication.